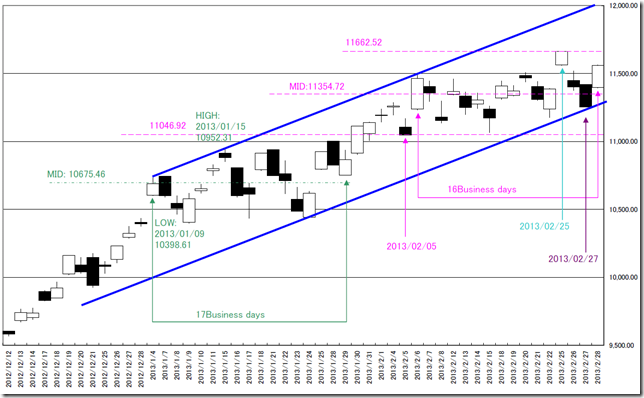 NIKKEI 225 Daily; Short term view; 02/27/2013 and 02/28/2013 will become “HENKABI”. The textbook “SAKATAGOHOU HA FUURINKAZAN” P63 says under these. We can estimate 02/25/2013 candle stick may be an irregular high and 02/27/2013 candle stick may be a big white candle stick. Moving this line to the lower out side, the market price did not touch the price and reverse in 02/27/2013. We can confirm the strong bullish trend. It takes 16 business daysfrom the steadiness starting day to today. We can treat 02/05/2013 as the steadiness starting day and today may be the steadiness starting day. 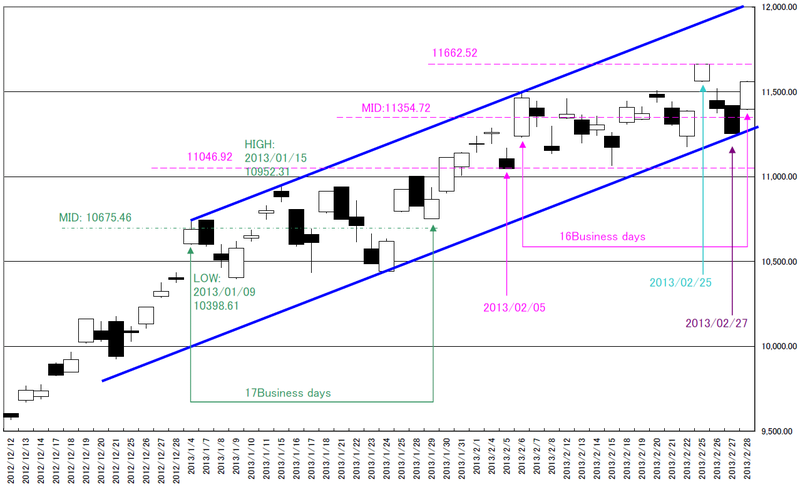 In the latest steadiness, the market price became 17 business days as “HENKABI”. If the market price will cut the blue support line, the market price will fall. 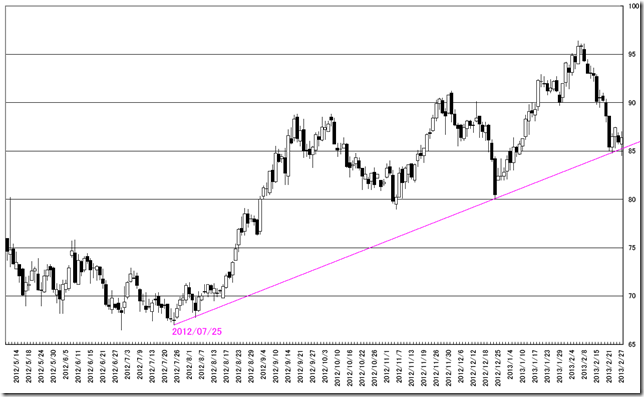 Tokyo market silver calculated in yen; it will be steadiness or fall. The market price cut the trend line by lower shadow. 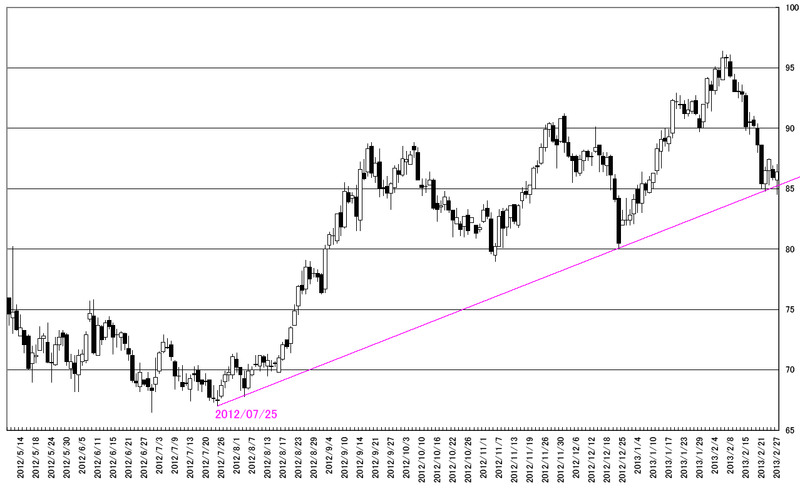 The trend line starting point is 07/25/2012. 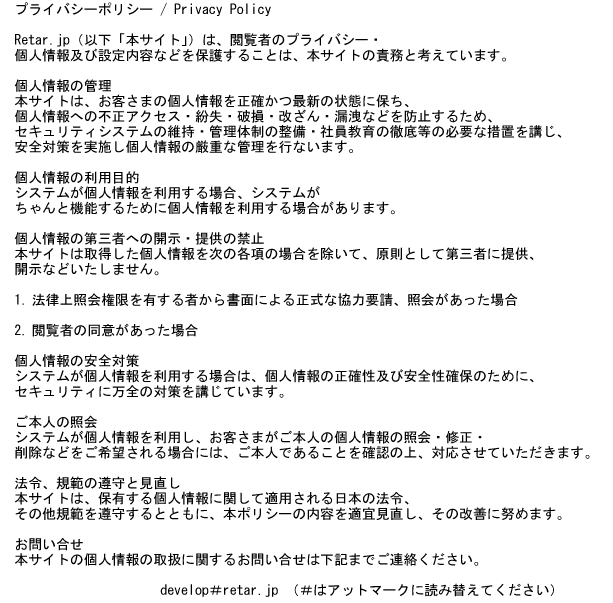 We should not take new long position. We think the market price will be steadiness or falling.